Thanks to food blogs, culinary magazines and food-focused TV shows, you’d have a hard time finding someone who has never heard of dim sum. This Cantonese specialty is a classic in China, but it holds a very special place in the hearts of Hong Kong locals. As one of those locals, dim sum is a favourite for my family. Find us on any Sunday afternoon, and you’ll be sure to find all of us huddled around our lunch table, sipping tea and snacking on our favourite varieties. But for the uninitiated, it’s a daunting task to eat dim sum like a local. These tasty dumplings are more than just a street snack – there’s a certain culture that exists around enjoying dim sum in Hong Kong, and you’d be missing out if you didn’t get a taste of the culture along with the snack. Before you head to Hong Kong to try the real thing, here are some of your burning foodie questions answered, from this local to you. Is it “dim sum” or “yum cha”? Foodies from around the world know what dim sum is, but fewer know exactly what we mean when we say “yum cha”. The easiest way to distinguish between these two terms is to split it up by the dish (dim sum) and the tradition (yum cha). That’s because, like a lot of things in China and Hong Kong, this food has an important story behind it. Many, many years ago when travellers were still trading along the Silk Road, good food and a place to stay along the way was scarce. Plenty of traders that moved along the road needed a place to relax and wind down after a long day’s journey, and thus teahouses became a popular roadside respite. While these travellers couldn’t resist a good cup of Chinese tea, they were hungry, too – and so dim sum dumplings became a popular pairing with tea. 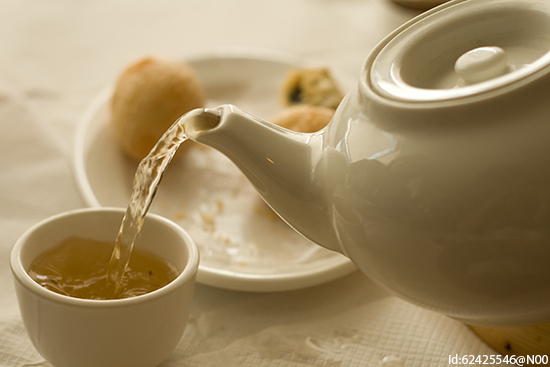 The tradition of eating dim sum with Chinese tea is called “yum cha”, and it’s still a popular pastime today. That’s why you’ll hear many locals referring to going out for dim sum as going to “drink tea”, since the two are usually paired together. What’s the lesson here? If you want to dig into dim sum like a Hong Kong local, make sure to mix it up with a tasty Chinese tea. Locals love how small and healthy these treats are, and the bitterness of the tea is a great way to balance the fatty sweetness of dim sum. Is it for breakfast, lunch or dinner? Traditionally, dim sum is a morning or early afternoon treat, and some restaurants in Hong Kong start serving dim sum as early as 5am! If you aren’t an early bird, though, don’t fret – dim sum is now a popular dish to have at any time of the day. But because dim sum is light and often paired with tea, you’ll find that it makes an especially tasty breakfast or lunch fare. Plus, don’t be surprised if you see locals in Hong Kong ordering their dim sum “to go” for their lunch hour. Is Hong Kong dim sum a snack, or a meal? 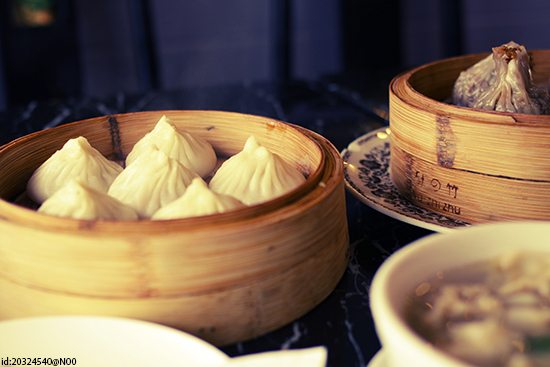 When dim sum was first created in northern China, it was split into three categories: buns, dumplings and noodles. Only when it migrated south to the dim sum masters in Hong Kong did it evolve into its modern form: a combination of “snacks” and “dishes”. You could easily fill up on dim sum for a meal, but lots of Hong Kong locals like sneaking out for a midday dim sum snack between meals. How can I spot ‘good’ dim sum in Hong Kong? The name dim sum in Chinese means “a piece of the chef’s mind” – and it can be said that the dish’s combination of craft and sincerity is the essence of the chef’s art. Good dim sum has the best of three things: presentation (colour and form), texture (different levels of taste and ingredients) and balance (nutritional value). “Good” dim sum should look good, taste good and be delicious time-and-time again. Plus, dim sum is cooked and served immediately, which is why you’ll often see it sold off of a rolling cart that meanders around a restaurant. Consequently, dim sum that’s been left too long and is served cold couldn’t be considered “good” dim sum. No leftovers for the microwave here! Where can I find the best dim sum in Hong Kong? If you’re in for some history and tradition, opt for Maxim’s Palace in Hong Kong’s City Hall. This is one of the last places that serves dim sum from a traditional cart, where you can point to what you want. For a modern twist on a cultural classic, head to Cuisine Cuisine in the IFC Tower, the biggest in Hong Kong. If you’re all about the environment, try Tsui Hang Village or the Jumbo Floating Restaurant in Aberdeen, which are both a perfect blend of great surroundings and world-class dim sum. But if you want to say you’ve dined a Michelin-star restaurant without breaking the bank, head to Tim Ho Wan in Kowloon – it’s the cheapest Michelin-star dim sum in Hong Kong! Beyond just the promise of a delicious meal, enjoying genuine dim sum is one of the most authentic and memorable experiences you can have in Hong Kong. So roll up your sleeves and get your chopsticks ready – you’re about to have the tastiest dim sum in all of Asia! 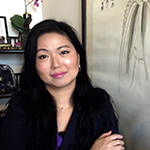 A Hong Kong local, Sandy Ho is the Hong Kong Country Manager for Buffalo Tours. She’s worked in travel for over 20 years, and enjoys finding new ways to get people closer to the culture of Asia as much now as the day she started. She blends a passion for people with her experience to create unforgettable experiences in her home country and beyond! Buffalo Tours are Flight Centre’s partners on the ground in select countries throughout Asia. As part of a joint venture, when you book a Journey to Thailand, Cambodia, Vietnam, Laos and Burma , Buffalo Tours will be on hand to welcome you at the airport, transfer you to your accommodation and operate any of your in-destination activities.